Vrindavan Parikrama, Vrindavan, Vrindavan Parikrama in Vrindavan. Vrindavan Parikrama is a customary walk for devotees around Vrindavan. The path of this Parikrama goes around the town. This path is just one street over from the famous ISKCON temple. It generally takes two to three hours to complete a walk around Vrindavan by following the path. 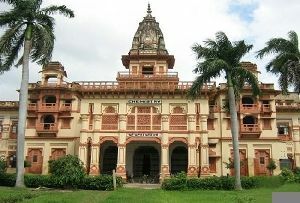 Vrindavan Parikrama, Vrindavan, Uttar Pradesh, India is generally done on Ekadasi. On this eleventh lunar day of the waxing and waning of moon, devotees embark on the 10 kms (6 miles) long Parikrama path. If you begin your walk in front of the renowned ISKCON temple, close to the Krishna Balarama Temple, you need to walk nearly six minutes (440m) to reach the Krishna-Balarama tree. Most devotees go round this tree and then continue their journey on the Parikrama path. Walking straight for another 120m, you need to take a left and an instant right turn. A walk of another three minutes brings you to Gautam Rishi's Ashrama, located on your left while on the right is Varaha Ghata. At a distance of 50m from here, you would reach a T intersection and take a right turn. A walk of about five minutes would take you to the attractive garden positioned on the land of ISKCON Goshala (cow barn). Exercise your legs for a stretch of another 400m and you would be able to locate Madana Mohana Temple's red sandstone tower. 180 meters from here lies the Kaliya Ghata. After another 200m, you can finally see Madana Mohana temple. A walk of another 15 minutes would bring you to a small wooden bridge. A stroll for yet another 800m would bring you to Imli Tala. Around Imli Tala, there is a yellow colored wall and you can have a glance at the Imli Tala tree through the gate of this big wall. You then continue your Vrindavan Parikrama in Vrindavan for another three minutes and Sringara Vata appears on your right. From Sringara Vata, continue for another 400m and you would come to the Kesi Ghat, one of the famous Monuments in Vrindavan. Some other interesting places to see during your Vrindavan Parikrama in Vrindavan are the Tekari Rani temple, the Jagannatha temple and the small temple of Lord Caitanya. In the final stages of your Vrindavan Parikrama, Vrindavan, you would reach the Mathura-Vrindavan road. After crossing this road and traveling for another one kilometer, you would reach the end of this Parikrama.